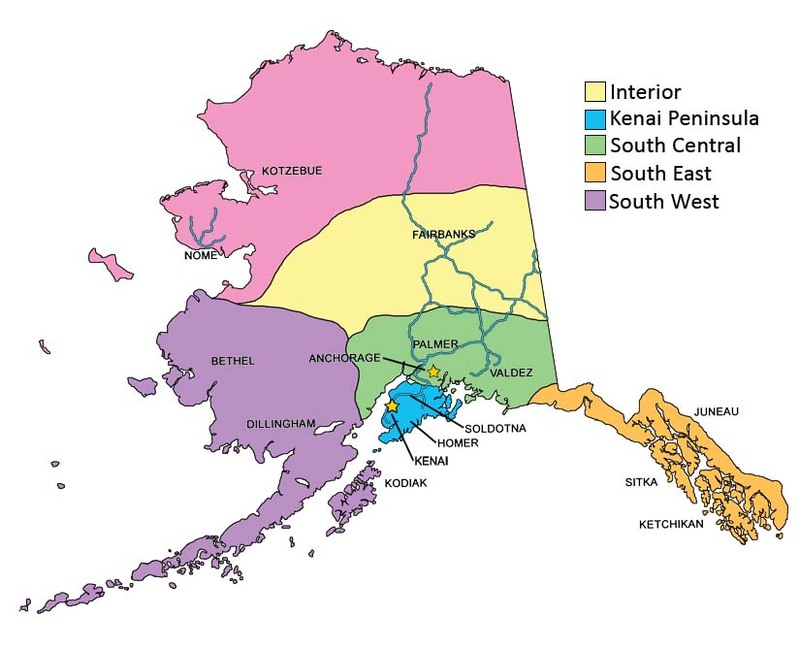 The Alaska Grown program reserves the right to remove listings at their discretion. Dates, times, and locations were accurate at the time of this posting but are subject to change. Please email dnr.alaskagrown@alaska.gov to notify us of any necessary edits. Find specific items using the search box below. chrislawlor13@hotmail.com Cash Farm stand in Wasilla Lake parking lot, grocery store. Year round availability. Eggs. www.alaskaseedsofchange.com Cash, check, credit card By appointment only, direct to restaurants, CSA, The Center Market, South Anchorage Farmers Market, Spenard Market. Wholesale rates available, year round availability Strawberries, leafy greens, and herbs. Kirstin's Secret Garden Cash, check, credit card Farm stand, direct from farm, and Colony Farmer's Market. Year round availability, located at 4253 Clark Road, Palmer, AK 99645. Potted sunflowers and nasturtiums, strawberry baskets, and sunflower and nasturtiums seeds . www.farnorthfungi.com cash, check, credit card The Center Market. Year-round availability. Blue oyster mushrooms. Retail Alaska Botanical Garden has a "Shop in the Garden" retail nursery and gift shop. See www.alaskabg.org for details about events, programs and classes held throughout the year. Various ornamental and fruit shrubs, perennials, Alaskan native plants, seeds, artwork and gifts. Compost, Fishmeal. Workshops. www.alaskamillandfeed.com native and turf seed blends, consultation, full line erosion control products. Instagram: Alaskapeony, Twitter: AKpeony, Pinterest: AKPeony cash, check, cc By appointment only, Direct to Grocery stores, Upick, Anchorage downtown market & Festival Peony cut flowers. www.alaskarhodiolaproducts.com cash, check Anchorage downtown market & festival, Anchor Point Greenhouse. Sell to Nutraceutical, supplement, and herval medicine companies as well as to individuals for personal use. Direct to distributors. Hosts farms tours. Wholesale Rates. Ships to Bush. Year round. Our goals are to provide income to Alaskan rhodiola growers, develop a viable industry based on cultivated rhodiola products and alleviate the stress caused by over-harvesting wild rhodiola in Siberia and China. Rhodiola. Dried rhodiola root, in chips for tea or powdered for extraction. We are also developing extracts for tinctures and capsules. www.Luke's Poultry Ranch.com cash, credit card Direct from farm, grocery stores. Year-round availability. Chicken, eggs, checks, duck eggs, goose eggs, processed ducks and geese and turkeys. Facebook: Alaska View Veggies cash, check Farm stand, Direct from farm Go 1 mile north of Palmer on the Glenn Highway, then turn left on Palmer-Fishhook for 1.2 miles. Left on Moffit Hodsdon, 3rd driveway on right. 3976 Moffit Hodsdon. We use organic fertizilizers, crop rotation practices and cover crops for adding organic material back into soil. Cauliflower, celery, chard, cucumbers, green onions, kale, kohlrabi, lettuce, onions, peas, peppers, potatoes, pumpkins, radishes, rhubarb, spinach, squash, tomatoes, turnips, zucchini, basil, cilantro, dill, mint, oregano, parsley, apples, raspberries, strawberries, honey, artichoke, beans, beets, broccoli, brussel sprouts, cabbage, carrots. Wasilla, AK 99654 cash, check Direct from farm, by appointment, Direct to restaurants, CSA, Anchorage Center Market. Custom grafting, pruning, Over 100 different varieties of apple trees apple and fruit trees. www.arcticorganics.com cash,check, SFMNP, WIC/FMNP Anchorage Farmers Market (Cordova Street), Farm Stand, Direct From Farm, CSA, Direct To Restaurant, Direct to Schools. Year Round storage vegetables while supplies last including: carrots, beets, turnips, cabbage, rutabage, kohlrabi, potatoes. Take Old Glenn Highway from Palmer toward the Butte at 3 miles turn left on Smith Rd at 1/2 mile turn right on N Smith Rd driveway is 1/3 mile down on left side, south of Mt. View RV Park Beets, bok choy, broccoli, brussel sprouts, cabbage, carrots, cauliflower, celery, chard, collard greens, green onions, kale, kohlrabi, lettuce, onions, peppers, potatoes, radishes, rutabaga, spinach, tomatoes, turnips, zucchini. Basil, cilantro, dill, fennel, mint, oregano, parsley, sage. Vegetative bedding plants, fertilizer, fishmeal, fruit trees, annual potted plants. Greens: arugula, beet greens, broccoli rabe, chinese cabbage, dandelion, escarole, mustard, radicchio, mizuna, sorrel, tatsoi, turnip greens, watercress, leeks. www.auraborealisbotanicals.com Leafy Greens and Herbs, such as butterhead lettuce, kale, spinach, basil, cilantro, watercress, dill and parsley. agrotesis95@hotmail.com cash, check Spenard Farmer Market. www.bambinosbabyfood.com Bambinos sources 75% or more (depending on season) of Alaska Grown veggies to make natural and healthy baby food. 20771 E. Birch Creek Blvd. Busy Bees Raw Alaska Honey Heather Bond (907)538-1716 13211 Ridgeview Dr.
WIC/FMNP Farm stand at 2355 N Old Glenn Hwy Palmer, AK. Monday Markets at the Palmer Depot. Direct from farm, Direct to institutions, grocery stores, distributors. Farm stand open late June - mid November, 7 days a week, 10 am - 6 pm. 5 minutes from downtown Palmer, across the Matanuska River. Known for peanut potatoes. beans, beets, broccoli, cabbage, carrots, cauliflower, chard, collard greens, green onions, kale, kohlrabi, lettuce, onions, peas, potatoes, radishes, rhubarb, spinach, squash, turnipw, zucchini, dill, birch syrup, honey, jams, jellies. Retail Take N. Birchwood exit from Glenn (toward inlet). 1.5 miles, building on right, just before railroad tracks. Facebook: Corbin Creek Farm cash, check, cc Farm stand, direct from farm, direct to restaurants. Valdez Saturday market. Valdez thursday market at Rogues Garden. Hosts farm tours beans, beets, bok choy, broccoli, brussel sprouts, cabbage, carrots, chard, cucumbers, green onions, kale, lettuce, onions, peas, peppers, radishes, rhubard, spinach, squash, tomatoes, zucchini, basil, chamomile, cilantro, dill, mint, parsley, sage, raspberries, chicken eggs, compost. www.countrygardenfarms.com cash, check, cc See website for sales locations. Grocery stores We use no Chemicals. Green sand and Alaska fish bone meal for fertilizer and companion planting for insects Directions on request. Call 733-4035. Facebook: Eagle River Valley Alpine Farm cash, check Direct from Farm, Eagle River Farmers Market, Alaska State Fair, Local Deliveries Honey, eggs, jellies and jams are available year round. Call or leave a message on our Facebook page. Jellies, jams, honey, bee pollen, beeswax, chicken eggs, fruit trees, vegetative bedding plants. Trees and shrubs. 5705 N Farm Loop Rd. Retail Wild Alaskan seed, plants and specialty items for regeneration of disturbed sites Blueberries, Currants, Rose Hips, Serviceberries, Rhodiola, Bedding Plants - Ornamental, Flower Seed, Potted Plants - Perennials. Trees, shrubs, flowers, seedline, site assessment and revegetation recommendations. flatbrokefarmak@hotmail.com cash, check, cc Look for us popping up at local events! Facebook: Forget Me Not Nursery Retail We sell from our greenhouse April thru June, then call ahead July through September. Facebook: frozen oak farms cash, check Anchorage Northway Mall Market, Mt. View Farmer's Market, Muldoon Farmer's Market Provides produce for Catholic Social Services and Refugee and Immigration Service (RAIS. Garden is on McPhee Ave. in Anchorage. Chives, mint, lettuce, bok choi, swiss chard, kale, potatoes, mizuna, carrots, cilantro, sesame leaf, dill, arugula, radish, beets, turnips. 19887 W. Giggly Girls Ave.
Facebook: Giggly Roots Gardens cash, check, cc Muldoon Farmers Market, South Anchorage Farmers Market, South Anchorage Wednesday Market, Spenard Farmers Market, farm stand, direct from farm, Direct to restaurants, institutions, grocery stores, distributors, schools. Upick We are good stewards of our land and are proud to implement the philosphy, tools, and techniques of organic farming; however we do employ traditional methods when environmental conditions warrant. Wholesale Rates. Hosts Farm tours. We provide fresh cut peonies from late June through late August locally, nationally, and internationally. bareroot, potted, and bouquets of peonies. perennial potted plants. Girdwood, AK 99587 willow cuttings, Sitka rose, geranium, iris, alders, wild strawberries, lowbush cranberries, additional native plants for riverbank and other restorations. Please contact for others. 9857 E. Two Block Rd. www.glaciercitygardener.com cash, check For directions, locations, times and dates see the events tab on our website. Spenard Farmers Market. Alaska Botanical Garden's Boreal garden and art festival, Alaska Master Gardeners plant sale, nursery plant stand. Specializing in Alaska Grown, unique and hardy perennials with an extensive line of primula. Cultural tips and more can be found on our website. Year round. ornamental and vegetative bedding plants, flowering baskets, annual and perennial potted plants. See more on our website. Farm Stand On the corner of Inner Springer Loop and the Glenn Highway, Farm Stand starting in July every Saturday from 10-4.
cginak@yahoo.com cash, check, cc (expect to have QUEST etc. 2017) Direct From Farm, Wasilla Farmer's Market, U-Pick, CSA expected 2017 lettuce available year round lettuce year round, broccoli, cauliflower, carrots, potatoes, kale, kohlrabi, green beans, peas, strawberries, pumpkins, tomatoes, cucumber, radishes, beets, and more! Facebook: Hoffmann Acres cash, check, cc Farm stand, Direct from farm, CSA, Broccoli, Cabbage, Carrots, Cauliflower, Garlic, Kale, Potatoes, Pumpkins, Tomatoes, Raspberries, Strawberries, Jams, Jellies, Chicken eggs, Grass hay, Oat hay, Straw, Flowers, Peonies, Perennial potted plants, potted peonies, fresh cut Alaska Grown tulips and daffodils (seasonal). 2850 N Lazy Mountain Dr.
Facebook: Veggies on Rye cash, check Anchorage Farmers Market, Center market in Anchorage, Depot Farm Market (Palmer), KGB corner market (Wasilla), Palmer Friday Fling, Wasilla Farmers market. Direct from farm. Ships to bush. Year round. Wholesale. We can fulfill online orders as well. Hosts farm tours. Besides our seasonal produce, we carry a premium quality buffered coconut coir growing medium which we import directly from Asia. We have it made to our specifications by our Indian manufacturer. Cucumbers, Peppers, Tomatoes, Zucchini, Basil, Mint, Oregano, Parsley, Sage, Apples, Cherries, Honey, Beeswax, Potting Soil, Peat Moss, Vegetative bedding plants. www.naserwaterfowl.com cash, check We only sell outside of PetZoo (Palmer) on first three saturdays of every month from May to October, and Parking lot of Carrs Safeway(Palmer). We deliver live birds to home as well. pjscorup@mtaonline.net cash, check, cc Direct From Farm Will provide either bulk seed or pure live seed based on independent lab analysis. 2 miles north of Palmer. (Please call for further directions). 26731 W. Point Mackenzie Rd. Sam's Club, Direct to grocery stores. Year round. Ships to Bush Seasonal poinsettias, Seasonal Christmas trees, bedding plants, Foliage (houseplants), Seasonal fresh vegetables, tomatoes, cucumber, indoor blooming carnivorous plants. Flowers, fruits trees, peat moss, peonies, annual and perennial potted plants, potting soil, seed potatoes, sod, sage, parsley, oregano, mint, fennel, dill, cilantro, chamomile, basil. SFMNP, WIC All Carrs, Fred Meyer, & Wal-Mart stores and Independents: Cubby's Marketplace, ShopRite, Steve's Food Boy, & Three Bears. Wholesalers sell our products to restaurants and also supply the military. 4350 S Bodenburg Loop Rd. 3321 S. Jessie Jo Pl. Facebook: Su Valley Farm cash, check, cc By Appointment Carefully chosen varieties of vegetables, for your garden success. vegetable starts only: broccoli, brussel sprouts, cabbage, cauliflower, celery, chard, collard greens, cucumber, kale, kohlrabi, lettuce, peppers, pumpkings, spinach, squash, tomatoes, zucchini, basil, dill, parsley. Facebook: Sunderland Ranch cash, check Direct from farm, hosts farm tours. (907)745-6276. Also offers a full equine facility, boarding, lessons, trail rides, and arena use. We have a BnB above the barn through the summer season. Elk meat, pig meat, cow beef/meat, horses, grass hay. sun-dog@alaskan.com cash Direct From Farm, By Appointment only, U-Pick Rhubarb, apples, Haskap berries (Honeyberries), fruit trees. Haskap Plants. Ornamental trees: Swedish aspen, pear, Amur chokeberry. 22160 E. Montana Creek Rd. Facebook: Sunny Hill Ranch cash, check Direct from farm, Direct to restaurants, Direct to distributors, Center Market (Anchorage), Top Shelf Artisan Market (Palmer). Hosts Farm Tours. Wholesale Rates. Ships to Bush. Year Round. Pigs: Breeding and meat. Yaks: Breeding, Fiber, Meat. 26205 S Talkeetna Spur Rd. Facebook: Birch Creek Talkeetna Grown cash, cc, WIC Talkeetna at Northern Susitna Institute: Sat. 1 pm-5 pm, July - mid Sept.
Alaska Native Medical Center at Wellness Center: Wed. 11:30 am-5:00 pm, July - mid Sept.
Upper Susitna Senior Center: Tue. 11 am-2 pm, mid July - August. WIC Vendor at Anchorage Farmers Market: 15th and Cordova. www.TrapperCreekFarmAlaska.com cash, check We deliver or mail seed orders. mnvang22@gmail.com cash, check, SFMNP, WIC/FMNP Anchorage Farmers Market, Muldoon Farmers Market, South Anchorage Farmers Market. Direct to institutions, Direct to schools. Beans, beets, bok choy, cabbage, carrots, celery, collard greens, cucumber, green onions, kale, kohlrabi, lettuce, parsnips, peas, radishes, spinach, squash, turnips. Basil, cilantro, dill, mint, parsley. Chicken eggs. www.wasillalightsfarm.com cash, check, cc Depot farm market. Colony High School holiday bazaar. Farm Stand, Direct from farm. Ships to bush. Goat milk soap available year round. kale, lettuce, rhubarb, basil, dill. Goats for dairy and breeding. Flowers and peonies.